▶ SoldThis listing was sold on Nov 7, 2017 for the price shown here. Another significant price reduction!! Check this out!! Seller wants to sell! 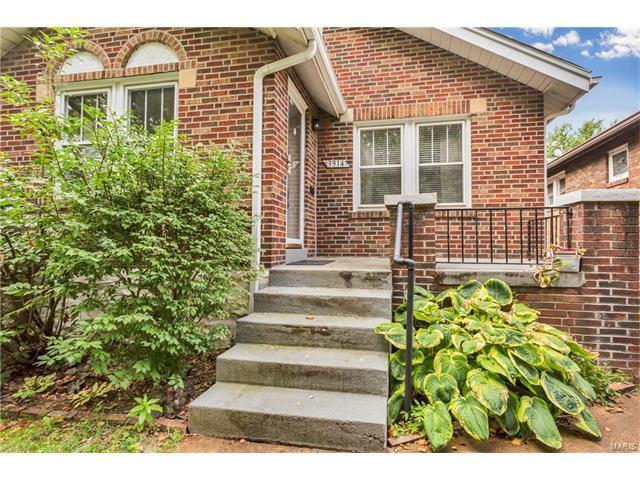 Cute bungalow in prime location -- just minutes from Carondelet Park! This home has so many of the charming features you expect in City homes -- stained glass windows, glass block windows, French doors, wood floors! The kitchen and bath have both been updated. The kitchen has a beautiful built-in hutch; all appliances stay! There is some upgraded plumbing, newer electric panel, much more! Outside is a detached one car garage, level lot, fencing. There is a full basement with lots of storage space and work area. And the seller is offering a home protection plan! Come see, you won't want to leave! North on Coronado from Holly Hills; right on Burgen.